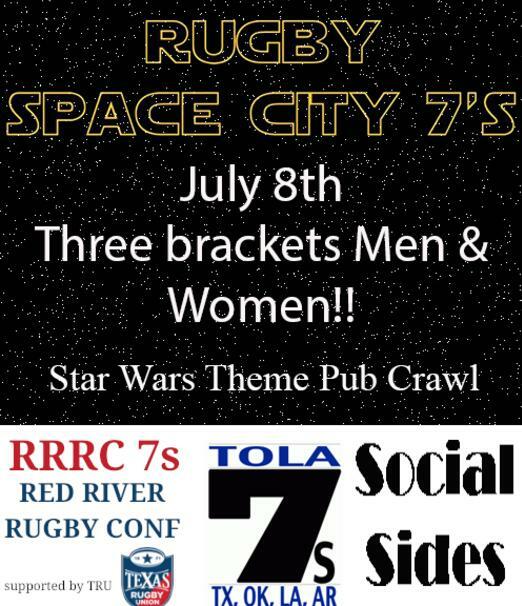 ​Space City 7’s is a RRRC Qualifier, TOLA, and a social Tournament in South Houston. This tournament invites Men’s and Women’s Teams to participate in rugby for the love of the game and a shot of fame. With a Star Wars themed pub crawl in Kemah afterwards.